Abraham Lincoln is one of the most revered Presidents in the history of the United States. His persistence saved the Union, and preserved our Constitution. But his wisdom, with its homespun feel, and far deeper meanings, was the backbone of his enduring popularity. The combination of his sense of self -effacing humor and stories of backwoods life helped Lincoln make his points with the masses, and helped him communicate with a country at its lowest point, and in the middle of a terrific struggle. 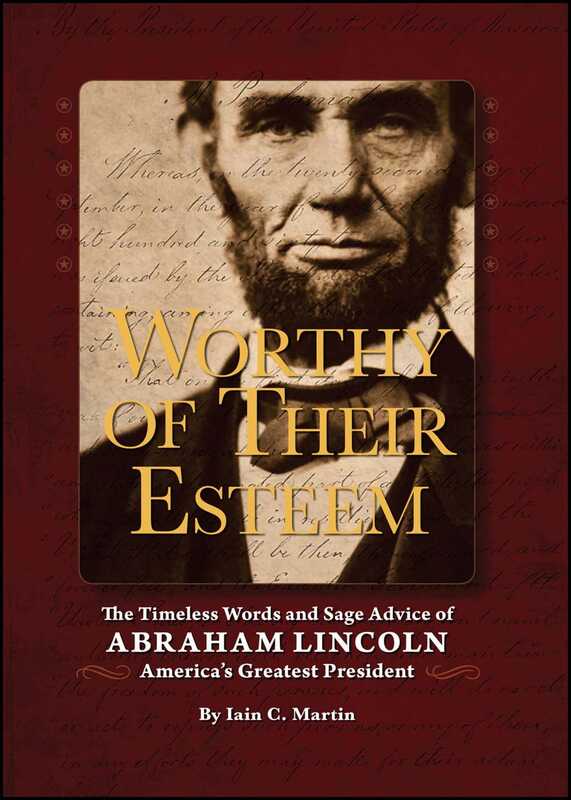 Author Iain C. Martin assembles Lincoln's most popular and best quotations and bits of wisdom which helped Lincoln to endure through the ages. Funny, poignant, and inspiring, the greatness of the man shines through as never before. With its attractive presentation and concisely told stories, it's a vivid and true reminder of a great man's life and why we're still celebrating him to this day. I read it cover-to-cover and wished it wouldn't end.